Two prominent Muslim activists joined together to raise more than $57,000 for repairs to a Jewish cemetery. Vandals damaged over 150 tombstones at the Chesed Shel Emeth Cemetery in University City, Missouri. The damages to the cemetery came following heightened concerns over hate crimes in the US. There have already been 12 reported bomb threats to Jewish community centers and late last month, a mosque in Texas was burned down. “On the heels of bomb threats and hate crimes against dozens of Jewish community centers across the United States, a historical Jewish cemetery was vandalized this past weekend when over 170 headstones were damaged,” the statement from the LaunchGood campaign said. It adds that Muslim Americans stand “in solidarity with the Jewish-American community to condemn this horrific act of desecration” against the Chesed Shel Emeth Cemetery. By Wednesday the campaign had gathered $57,000 and gained over 2,000 supporters. 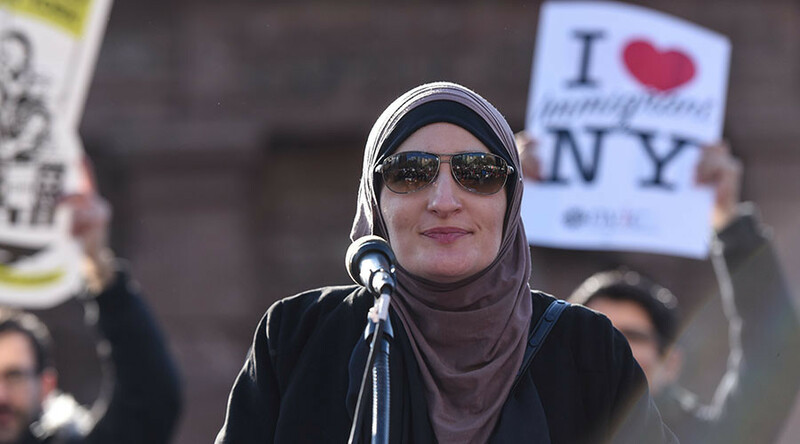 Sarsour and El-Messidi are two increasingly influential activists for the Muslim community. Sarsour is credited with organizing the Women’s March, which had an international turnout of millions of people last month. This isn’t the first time El-Messidi of Knoxville, Tennessee, has organized a successful crowdfunding campaign. In December 2015, he raised over $215,000 for the victims and families of victims in the San Bernardino shooting and also called on Muslims to write condolence letters to the family of Ambassador Chris Stevens, who was killed in the 2012 Benghazi attack. Stevens’ sister was presented with 8,000 letters that Thanksgiving, the Washington Post reported.